This is our first "Monthly Minute"....... So what exactly is it you ask and will it really only take a minute????? We have been Blessed to do business with Quorum for over 25 years now.... They have an amazing team of people, which includes some of the best lighting designers in our industry. They are always ahead of the curve, and usually set the trends, rather than follow them. 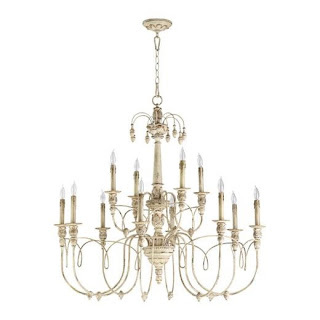 What is your favorite chandelier from Quorum and why is it your favorite? "While it’s tough to choose a single favorite piece from our vast selection, one that does come to mind is from our Salento series. Together, the light and airy curved arms, beautifully etched ornaments, and delicate leaf motifs, capture the essence of fine 17th century Italian craftsmanship. 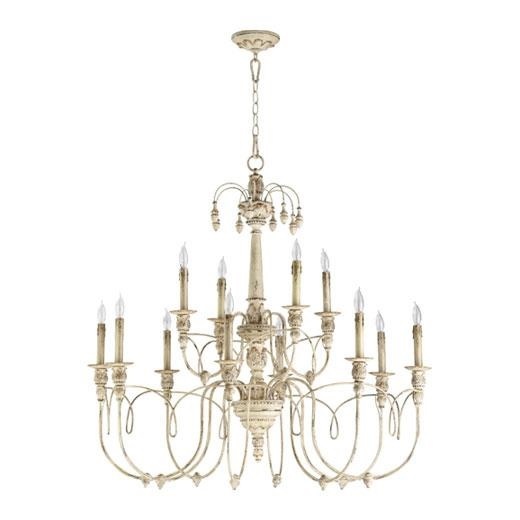 The fixture's Baroque and Rococo influences create a classic feel, making it a timeless addition to any space." When do you see LED becoming truly relevant in the residential decorative lighting arena? "The developmental process of LED in residential lighting has been a fascinating one to track. In recent years the technology has made great strides, and continues to make steadfast progress. The transition into residential LED is, and will continue to be a gradual one. Within the coming year or two, we could see the technology improving to a point where the pricing will become competitive enough to begin to introduce more and more LED fixtures into the market." What was the inspiration behind French Umber as this season’s newest color? "French Umber embodied the stylistic direction that we intended to head in this season. The color exudes a sense of restoration. In fact it combines the results of two wood staining techniques, pickling and white washing, (both of which date back to several centuries) to create an aged, yet restored feel. Its a way of recreating a look that was established with more of a practical purpose in mind, but now works stylistically as an antiquated accent." We LOVE the Mercury Glass!!! Will there be more??? 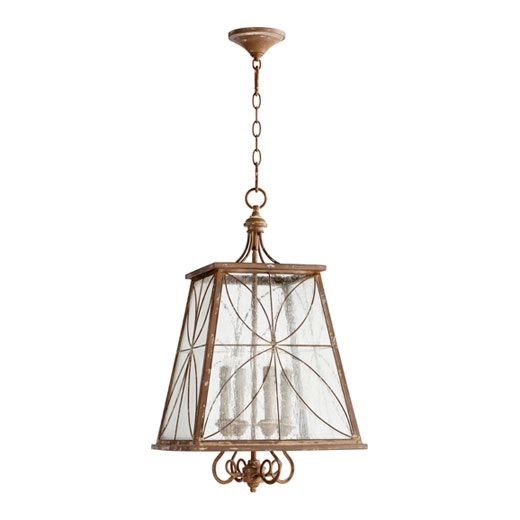 "Regarding the Mercury Glass, we share that exact sentiment, we ABSOLUTELY LOVE it. 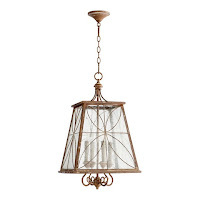 We cannot wait to introduce more fixtures that feature the glass. It's looking like it is likely to happen in the very near future." How exciting!! And all of these fresh new designs just in time for Spring!! HUGE "Thank You" to Bill Davis and the entire team at Quorum for taking time to talk to us and answer our questions!! Feel free to visit www.quoruminternationl.com to see all the new designs - or better yet stop by Lighting Etc. and see them in person! !